Don’t fill up on the bread. Don’t chew with your mouth open. Get your elbows off the table. Get your hair out of your eyes. You have such a pretty face, if only you’d lose some weight. Finish what’s on your plate; children in Africa are starving. There’s no such thing as a free lunch. If you don’t like the table you’re shown to, tell the maître d’, “Take me to the table you were saving in case I didn’t like this one.” If you don’t have anything nice to say, sit next to me. You can’t with one tuchus dance at two weddings. That’s the way the matzo crumbles. Brooklyn wasn’t built in a day. Don’t stand on ceremony. Don’t cut off your nose to spite your face. There’s no problem so terrible it can’t get worse. Drink hot coffee in the summer, it will cool you down. Get pregnant in the fall, give birth in the spring. Heartburn means you’ll have a hairy baby. I ate nothing but Tums when I was pregnant with you. Boys are easier to raise than girls. Just wait till you have a daughter. But Mom, I don’t want to have children. Don’t talk to me in that tone of voice. You only think you know what’s best for you. Don’t get smart with me. You’re too smart for your own good. Don’t stick anything in your ear except your washcloth or your elbow. Keep your legs together. Don’t talk to strangers. Never kid a kidder. Someday you’ll thank me for this. I need this like I need a hole in the head. This hurts me more than it hurts you. Just wait till your father gets home. Stop crying or I’ll give you something to really cry about. You’re too sensitive. I only want you should be happy. Nothing is worth mortgaging your teeth over. Never buy retail. Cheap is expensive. You get what you pay for. If the shoe fits, buy it in brown, black, and navy. Everything comes back in style if you wait long enough. If it can’t hurt you and you don’t need to feed it, leave it where it is. There’s no such thing as a sell-by date. Behave yourself or we’ll bring you back to Macy’s. Money doesn’t grow on trees. Your father and I aren’t made of money. It’s just as easy to marry rich as it is to marry poor. Wash the fruit. If you can’t go, eat an apple. If you’re going too much, eat a banana. Breakfast is the most important meal of the day. If you’re hungry, eat a piece of celery. A woman can never be too rich or too thin. Rich or poor, it’s good to have money. Stand up straight, it will make you look slimmer. A little lipstick never hurt anybody. Would it kill you to smile once in a while? Gay used to mean happy. Nobody likes a sour puss. I’m cold, go put on a sweater. Don’t sit so close to the television. Don’t stand so close to the microwave. The early bird catches the worm. But Mom, I don’t like worms. You’re not going out of the house looking like that. As long as you live under my roof, you’ll do as I tell you. Do as I say, not as I do. Learn to type, you need something to fall back on. Any idiot can write a book. If you were really a peacenik you wouldn’t wear army pants. Why do you make yourself as ugly as possible? Don’t be such a pill. You get more flies with honey. But Mom, who wants flies? Spit out that gum, you look like a cow. I’m telling you this for your own good. You don’t know how good you have it. Carry some mad money in the bottom of your shoe. Carry an umbrella. Save something for a rainy day. Cover your mouth when you sneeze. Put on a bra. Always wear clean underwear; you never know when you’re going to wind up in a ditch. If it ain’t broke, don’t fix it. If it is broke, give it to me; I’ll fix it. Being a mother means never having to say you’re sorry. Am I right or am I right? Everyone is entitled to my opinion. It is what it is. Enough is enough. Author’s Comment: One morning when I was scribbling in my writing notebook, my mother’s words appeared on the page: “Don’t fill up on the bread.” She said this every single time we ate at a restaurant, the moment the bread basket appeared on the table. It was a joke because my mother loved bread, and would always eat a thick slice – or two – before her meal arrived (“Do as I say, not as I do.”). I generated a list of other things she had said, and then decided to attempt an imitation of Jamaica Kincaid’s wonderful short story, “Girl.” When I re-read the piece recently, I found that some things my mother said which irritated me or even angered me in the past, amuse me now. I wish my mom, who wanted to be a writer, were here to read this story. I think she’d get a real kick out of it. 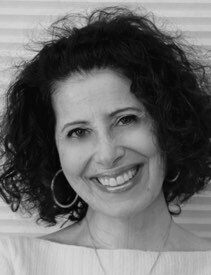 Lesléa Newman is the author of 70 books for readers of all ages including the short story collection, A Letter to Harvey Milk, the novel, The Reluctant Daughter, the novel-in-verse, October Mourning: A Song For Matthew Shepard and the children’s classic Heather Has Two Mommies. Her literary awards include writing fellowships from the National Endowment for the Arts and the Massachusetts Artists Foundation. Her newest poetry collection, I Carry My Mother, which just received a Golden Crown Literary Award, explores a daughter’s journey through her mother’s illness and death and how she carries on without her. View More: Next piece "Helen", Home, Archive. How many of those sayings echo in my mind. I wish my mother, too, could read this charming story. Thank you, Leslea Newman. Just wonderful! Still, it made me sad because I couldn’t help feeling a sense of insecurity beneath this Mom’s know-it-all stance. I’m glad the writer has lost the anger she once had . Love this piece. Our moms read the same text book. Who wrote the original book?? ?